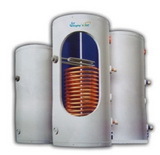 Electric heaters are pretty popular these days compared to other heating methods and this is due to their easiness of use, their cheap price, their widespread availability, their heat efficiency and the expenses associated with their use, the latter being explained by the fact that electricity costs do not increase as fast as other fuel sources like oil or gas. Many electric heaters come in portable versions to fulfil any requirements associated with their placement. They are suitable for most areas in and around a house or office, and can be also used in very large rooms due to modified models that have wheels attached to ensure the portability feature. Hence, portable electric heaters do not necessarily have to be small-sized to be portable. Even large heaters with impressive fans can be easily moved around as long as they're equipped with wheels to be pushed towards the desired place. Portable electric heaters are simple to manoeuvre, aside from the easy transportation they operate immediately by simply plugging them in a power outlet nearby. Purchasing and using portable electric heaters does not have to come at the expense of having a high energy bill since many of the appliances available on the market today have thermostats that allow the user to set the temperature according to his liking, preventing the waste of any extra heat that may otherwise be generated by the electric heater. Since they are portable and compact, these appliances can be stored easily when they are not needed- placed out of view until the cold season arrives. Portable electric heaters constitute a safe heating method as long as several common sense regulations are strictly followed by their users. Therefore, one way of avoiding a short-circuit is by avoiding to overload the power sockets placed within your home. Portable electric heaters may use a lot of power in order to run, so make sure you plug other devices and appliances into another socket. For extra safety, you can also use a surge protection device which will minimise the risks of having a power failure. Another issue you need to take into account to ensure the secure running of the electric heater is placing it away from foot traffic, and also away from the reach of children and pets. Keep flammable materials and substances away from the electric heater by placing them at least one meter away. Also, limit its use to the main rooms of your home and not in locations like the bathroom or the garage. Before purchasing a portable electric heater, you may also want to check the label for the UL letter symbol which translates into the Underwriter's Laboratory. This label will ensure the user that the heater has been thermostatically controlled in order to avoid any wastage of energy. For this purpose, during warmer months, heaters that have the 'fan only' setting available will also reduce some of the power used by the heater.